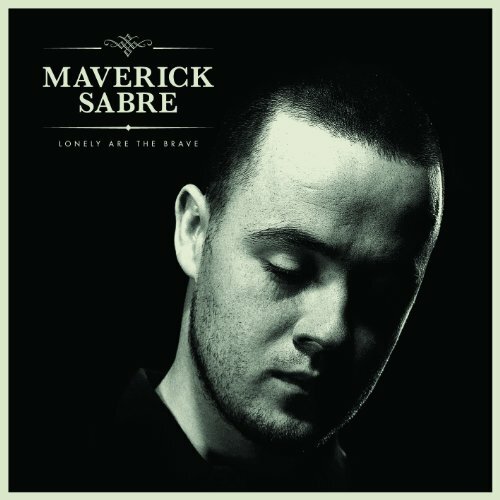 For the first time, the inaugural album from the talented, long-standing Irish singer-songwriter and rapper Maverick Sabre is available on vinyl, with original artwork and mp3 download vouchers. Initially released in 2012, Lonely Are The Brave debuted at number two in the UK charts and includes the three singles Let Me Go, I Need and No One. Known for his unsettling, post-dubstep vocals and guitar skill, Maverick Sabre has previously featured on Professor Green’s single Jungle, guested on Chase & Status' Fire In Your Eyes, a track from the drum and bass duo’s second studio album No More Idols, and has a forthcoming album this year. Previously described by BBC Radio 1’s Huw Stephens as the “male Amy Winehouse”, Maverick has also been busy touring alongside chart toppers Plan B, Cee Lo Green, Snoop Dogg and The Script as well as popular collaborators, Chase & Status. Last year Sabre released the video for Breathe and the remix from Emotion (Ain’t Nobody) which featured fellow UK artists Chip, Devlin and George The Poet.